There’s absolutely no doubt that the “Super Hot” Treo Pro is the best smartphone that Palm has released in years and and to say that I have been completely bowled over would be a rather mild understatement. As I have mentioned before, the combination of the Treo Pro looks, ultraslim form-factor and terrific hardware specifications (including WiFi and GPS) have made me completely fall in love with this smartphone and I now use it every day. As many Treonauts have already been able to discover, the Treo Pro is simply the very coolest Windows Mobile smartphone with a full front QWERTY keyboard and high-resolution touchscreen that you can get your hands on in the world today. The good news for those who have not yet made the jump is that the Treo Pro is now available to buy directly from the Treonauts Store priced at $549.95 with the bonus that it includes one of my Editor’s Choice and essential everyday accessories – a bundled free SPE Micro USB Sync & Charge Cable valued at $11.95. My very top Treo Pro case choice is one that had actually been originally designed for the iPhone: the superb Incipio ORION sleeve case (see my review) which snugly and elegantly keeps your expensive Treo Pro protected agains bumps and scratches (image above top left). Next is the Body Glove Side Case which provides an equally high-quality and comfortable solution to carry your smartphone by your side at all times. 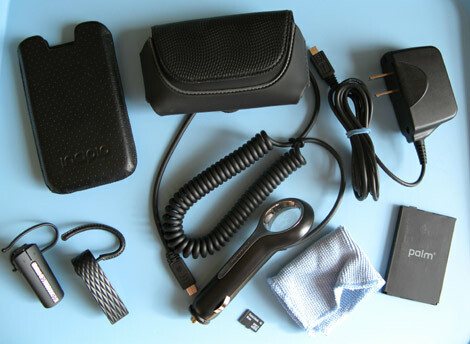 For charging solutions my currently favourite options are the Motorola MicroUSB High Performance Car Charger and the Motorola MicroUSB Rapid Travel Charger. I would definitely also consider getting a spare Palm 1500mAh battery for your Treo Pro as well as a rather small but essential 3M Microfiber Cleaning Cloth as it will quickly wipe fingerprints, dirt and oils to keep your Treo Pro shiny at all times. In terms of Bluetooth Headsets my top two choices are the very best that money can buy in terms of audio quality and noise cancellation with both the New Jawbone and Jabra BT530 (which conveniently shares the same microUSB charging connector as the Treo Pro). Finally, ensure that you have the highest capacity memory card that you can afford. In my case I’ve chosen the SanDisk 8GB microSDHC card. Additionally, it is worthwhile noting just how overwhelmingly positive the overall attitude has been towards the Treo Pro. 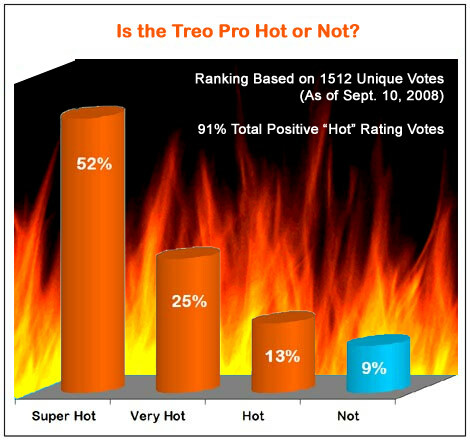 As you can see from our original poll below (1,652 responses as of 09/25/08) it very clearly and very loudly conveys a unanimous rating: the Treo Pro is definitely HOT. If you haven’t already done so, there hasn’t been a better time to order your very own Unlocked Treo Pro smartphone directly from the Treonauts Store priced at $549.95 with the bonus of a free Retractable Sync & Charge Cable. Tell us how hot it is! How many sold in one month on this website? We need you to use your great contacts to find out when Sprint is adding the Treo Pro!!!! 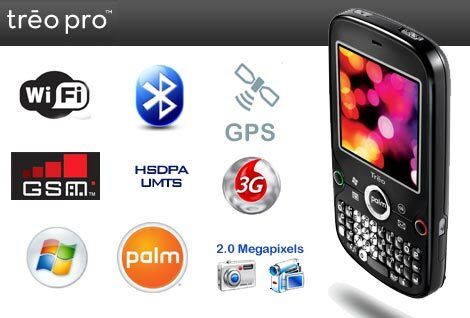 I really want the Treo Pro... However, I need to stick with Sprint. When oh when will a CDMA version be available for us Alltel/Verizon users???? Hi Andrew: Would you tell me how easy/hard/imposible is to transparently transfer ALL calendar, contacts, memos, etc., info to the hot Treo-Pro? Thanks...I value and appreciate your information very much, keep the good work. HHIS - We won't know for sure just how hot the Treo Pro is until Palm release figures at the end of the quarter but based on customer feedback thus far it appears to be doing extremely well. Bryce - it is unlikely that a Verizon version of the Treo Pro will become available anytime soon but the Verizon Treo 800w should be released very shortly. ENE - I had absolutely no problem whatsoever quickly transferring ALL my calendar, contacts, memos, etc. into the Treo Pro (using MS Outlook). However, because I use multiple Contact and Calendar folders in Outlook I also installed the Pocket Mirror Professional software to sync these which I now consider essential. I have to agree that this Treo Pro is by FAR the best phone they have put out and I have had "almost" all of them including the Centro. Already bought mine. Then shipped it back & went back to my 650. I'll wait 'til it's got PalmOS instead on Windows Mobile. Gee - the Telenav GPS solution is by far the best available if you don't want to use a memory card for your GPS maps. It's true that the $9.99 monthly charge adds up but then again you get one of the easiest and most trouble-free solutions available. For example, although I managed to hack TomTom Navigator 6 to work on my Treo Pro I have found it all to be a less than idea solution precisely because of the memory card issue and also internal GPS connection. Over the coming weeks I will test a number of other GPS solutions for the Treo Pro that use memory cards and naturally write a review of these. @Chris: Having used a 650 for a long time, I have to ask: How could you possibly use the Treo Pro and now go back to the 650? I use the 800w, which I am very happy with (although I'd love that 3.5mm headset input on the Pro) but I'd go back to my Centro before I'd ever go back to a 650. Something to think about in the GPS write up you will be doing, can you talk about GPS solutions that allow you to put maps onto your own microSD cards. I carry an 8GB in my Treo 800w and I have the space for maps, but i do not know which programs will allow me to use my own card. Chris--while I can't speak for Andrew, I'll put my thoughts out there on Palm Desktop and future devices. 3) From the looks of it, Palm did not license Palm Desktop/HotSync from Access along with the operating system, so they're probably working on their own sync utility. Some people have predicted that it will be cloud-based. It's likely to mean limited support for Palm Desktop going forward. If you're going from a Palm OS device + Palm Desktop to a Pro and don't want to use Outlook, I suggest Mozilla Thunderbird (with either Lightning or Sunbird for the calendar) and BirdieSync. Thanks dmm, that's useful information. I currently own the Treo 700p and am considering buying the Pro. I'm also NOT an Outlook user. So if I move from the 700p to the Treo Pro, what else isn't transferable? Contacts? Am I forced to use an MS email client or is Versamail available? Anything else I'm not considering that will piss me off once I get into the setup? I'm not an Outlook user either--never have been and I'm not going there. I'll be switching from Palm Desktop to Mozilla Thunderbird--with either Lightning or Sunbird plugins, and BirdieSync (www.birdiesync.com)--to sync with the Pro). And as I'm getting the Pro for its hardware and largely *despite* Windows Mobile, I'll be customizing the software heavily. Again useful info and I've bookmarked all the utilities mentioned. 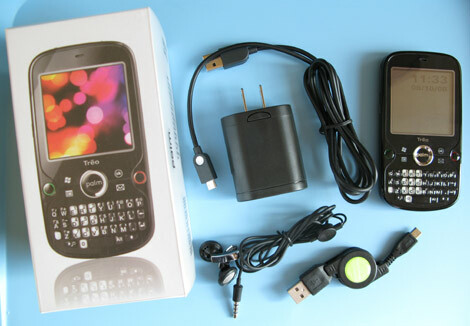 Does anyone know if an extensive contact list will port over (from Palm Treo700p to a TreoPro). I'm itching to click on the BUY feature above, but won't unless this can be done. I ain't typin those in again! The answer as to how I could go back to my Treo 650, Windows Mobile. Palm OS is a better design for a PDA/Smartphone. I know it has its limits. It needs some significant updates to modernize it. But all the basic PDA apps included are better than their Windows Mobile counterparts from my experience. The Palm OS versions of the contact manager, task list, calendar, and notepad are easier to navigate, and are simpler designs compared to the Windows versions. Yet they all have at least as many features. While I would never buy a phone without a touch screen, Palm OS has the 5 way navigation perfected. I can do almost everything without ever needing to tap the screen. It's great for one handed use. There are several things I tried doing on Windows Mobile where I could not use the 5 way to navigate, you must use the touch screen, and it eliminates the one handed operation. Even Google Maps on Palm has better keyboard shortcuts than the Windows Mobile version. I will give Windows Mobile credit, Outlook is better than the built in Palm email software, but I long ago replaced that with SnapperMail Enterprise edition. And SnapperMail blows away Outlook on features and ease of use. The only other feature of Windows Mobile I preferred was the web browser. I've hated Blazer for a while now. While I refuse to use Internet Explorer on a desktop PC, the mobile version is probably the best mobile browser out there, at least until the Mozilla developers release one. About the Centro, it looks like a good product, but I just don't see reason to upgrade. The hardware is no better than the 650. The only difference is a little more RAM and a better camera. The specs I see show it to have the same processor as my 650. But I have a larger battery, 1800mAh vs 1150mAh. Why pay $299 for an unlocked Centro when it's not any real upgrade. Plus I hate the white unlocked version, it needs to have other color options. But if my phone dies sometime, then I'd buy a Centro to replace it. BTW, I need the unlocked version since I'm on T-Mobile. does the Treo Pro supports all previous application written for Garnet OS via a workaoround ( vis styletap )?